We're 3 - 4 players who are looking for a casual clan to join but one that plays clan wars. A desire to play clan wars is what motivates us. We're in a clan atm, but it plans to close its doors soon. We're all English speaking and play on most days. Although one of us has a 55% WR, and it ain't me, we don't want to join a clan that focuses on WR and stats in general. I'm the sort of spokesman, but it's the other guys who make the final decision. So is there a clan out there that wants to makes us feel welcome? We're 3/4 English speaking players who are looking for a new clan. We are particularly interested in playing CW. One of us has a 55% WR but it's not me. Earning oil is not a problem. Can you write to me to let me know whether you are interested is us. One of us is Russian, One Hungarian, One Belgian and one Irishman. Cheers. Rumour of our clan's demise is grossly exaggerated. Plague is here to stay and to continue infecting new players. Come on to our Discord and shoot the breeze. Here's an invitation to our Discord server: https://discord.gg/wxQtyy Give us a try! https://unicode.org/emoji/charts/full-emoji-list.html#1f615 If you're looking for a no hassle, stress free clan then why not consider a casual clan? That's what Plague is: a friendly online environment in which to play warships with fellow players. The guys want to have a go at Clan Battles when the next season arrives, but even there no commitment is required, just tier X ships. And you don't even have to buy them. Plague, the clan for all men and all seasons. Plague is still here and will remain here until hell freezes over. Meanwhile, back on Earth, Plague is looking to recruit players to its casual clan. 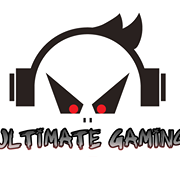 You can also play your favourite games using our Discord server: War Thunder , WOT, Warhammer, Battlefield 4 etc. There are no officers - who NEEDS them? So if you're kind of bored playing on your own, or you feel your current setup is too demanding come and have a chat on our Discord server. This should be a permanent invite: https://discord.gg/6aeTEAf Recruiters are: peadar_oconnell, Fenwieck, Spacelord333 and Indrahim See you soon. Hello Thinder. What I can't understand is that after sending you 4 PM's you failed to reply to any of them. I assume that you had me in your 'friends' list, so a simple message saying that you were having difficulties finding our Discord server would have prompted me to help you. By the way, PLAG is our in game tag. Our proper name is Plague_. Surely you knew this. Any time you want to rejoin just let me know. As of present, Plague has players from Germany, Norway, Faroe Islands, UK, Ireland, Belgium, France, USA, Hungary and Austria. Come and add your country to our international clan. Plague. Players from all over Europe, coming together to have fun, divisions and chat. What more could you ask for?